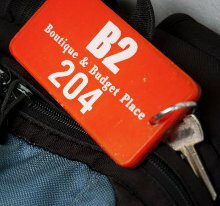 For those looking for good budget priced hotel accommodation in Chiang Mai you could do worse than try one of the B2 Hotels, meaning Boutique and Budget. 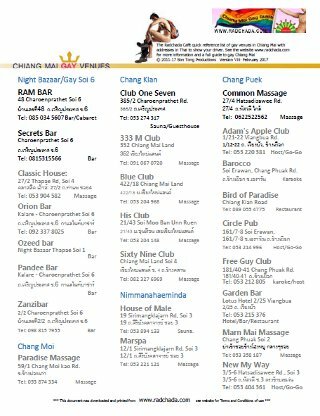 After starting just a few years ago the B2 chain must be Chiang Mai’s fastest growing business with twelve properties in Chiang Mai and now others elsewhere in Thailand too. The hotels are basic, but clean and modern with very competitive pricing. For the gay visitor they now have three properties situated around the gay area of Santitham making them a viable choice for those looking for budget accommodation. Their latest property is B2 Sirithorn located not far from the go-go bars, though probably advisable to have your own transport if you choose to stay here. 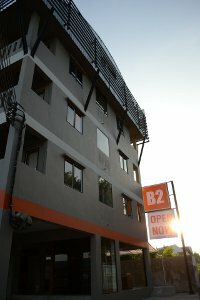 The B2 Green is situated just of Huay Kaew Road and close to Soho Bar, as well as all the Santitham bars and attractions. The third property B2 Nimman is situated in the heart of Santitham just around the corner from Radchada Garden Cafe which is a great place to go for an English or Contitnental breakfast if you are staying at one of the Santitham B2s. For those whose primary attraction in Chaing Mai is the House of Male Sauna, another great option is B2 Nimman (premier) located in the Nimmanheminda Road area in the next soi from House of Male this property is deal not just for the sauna but also for easy access to all of Nimmanheminda area’s trendy bars, restaurants and night clubs. 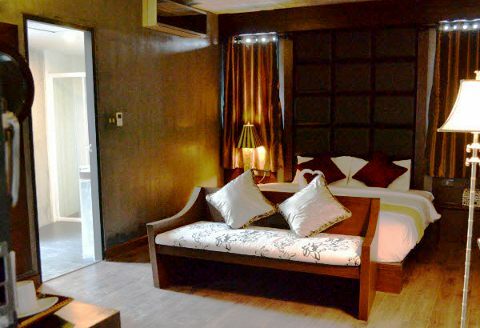 Room rates start at around 450Bt per night which is almost unbeatable for a basic clean modern room. You can book on line via their website which is in English too. As to that key question our readers will ask – from what we hear there is no problem bringing a companion back to your room. As a caution, the likely downside to these hotels is the staff are unlikely to speak much English and they don’t have breakfast on site, also depending on location the public transport options maybe limited.